On Friday, we learned suddenly and without warning that The H website was closing down. In a brief announcement on the site, the reason given for the closing was a failure to monetize and develop a successful business model. The H was an English language site published by UK based Heise Media UK Ltd., a division of the German company Heise Media Group, which is primarily known for publishing computer magazines. The H first went online in February 2008 as Heise Online after testing the waters for a couple of years with Heise Security. In February 2009, Heise Online was renamed The H.
The site built a solid reputation as a consistant and reliable source for technology news. The H – Open, which focused on open source news, has been an invaluable news and information source for the FOSS community. We are sad to see it go. Does the NSA’s SE Linux code need a review? In the wake of the recent revelations that America’s National Security Agency is spying on all and sundry, is it time for the Linux community to take another good, hard look at the NSA-developed Security Enhanced Linux? Decades have passed, and I still have the same problem as a leisure-time hacker. Imagine I put together some little cute diversion: for the sake of this example, imagine I make an app that has a dancing chicken animation and plays a chiptune. If I want people to check it out, I still can’t just send it to them and have them run it. Not on Linux + GNU + X + Gtk + GNOME + Alsa + PulseAudio. It is slightly less bad on the non-free desktop OSs like Windows because I can statically link something together, but there are still VC and DirectX redistributibles to worry about. Shutterstock has a nearly insatiable appetite for data storage. From its inception, the company — a global provider of licensed photographs, vectors, illustrations and videos — refused to pay higher prices just to stuff its storage needs into somebody else’s cloud. Instead, the almost 10-year-old image-storing warehousing operation built its own server farm and created its own cloud software system at home. Carsten Haitzler, a.k.a. “Rasterman” and known for his work on the Enlightenment window manager / desktop, has provided some new comments on Enlightenment’s planned support for Wayland. At the request of many Phoronix readers, the Linux performance benchmarks to share with you today are the results for an OpenGL performance comparison between a dozen different AMD Radeon and NVIDIA GeForce graphics cards on their latest proprietary graphics drivers when running a slew of Linux games, including Valve’s Team Fortress 2 benchmark, Unvanquished on its OpenGL 3.x renderer, and the new GpuTest workloads. Steam’s recently introduced trading card system might just be the most brilliant consumer loyalty program ever devised within the video game industry. You won’t have noticed unless you’re one of the minority of Steam users not running Windows 7, but Team Fortress comes in three flavours these days: Windows (vanilla), Mac (mint), and Linux (green tea?). When I planned this review, I never really understood how difficult things would become to reach a point where I could actually run the Razor-QT desktop for some real-world testing. In a nutshell, oh my it was worth every minute of pain. Want to know more? Read on. XFCE4 panel is nice but it was losing icons when I resized the screen. This is a new problem that might be related to getting composite working again. Whatever the reason, it was annoying enough for me to look at E16′s own systray. Last weekend the GNOME project reached its goal of raising $20,000 to help make our software even more secure and privacy aware. We are hugely excited by this, and would like to say a big thank you to everyone who donated. We are proud to announce that Simplicity Linux 13.7 is now available. Obsidian 13.7 is available here. Desktop 13.7 is available here. For those new to Simplicity Linux, Obsidian is our extremely cut down version, which contains Firefox, a network manager, LXDE and PCManFM as a file manager. But very little else. Simplicity Linux Desktop is our full fat Linux which comes with Skype, the full LibreOffice, Firefox, VLC, and many other pieces of software. Mageia 3 was released in May and after a “postmortem,” plans for Mageia 4 have begun. The development and release schedule are in place and some interesting feature proposals have emerged. A couple have been proposed before, but others are new ideas. Fedora remains a very popular flavor of Linux, and is favored by some of us at OStatic. Now, it looks like the working model for how Fedora’s ongoing versions are built might forever change. Matthew Miller, who is Fedora’s Cloud Architect, has announced a proposal to reshape the way that the Fedora Project builds its Linux distribution, focusing on more cohesive integration of the distro’s components. ‘Fedora.Next’ is a concept for organizing Fedora around a series of ‘rings’ that would have their own package requirements and component integration rule sets. So… after upgrading Fedora 18 installation to Fedora 19 (using DVD ISO image) via ‘fedup’ tool which was quite event-less* (not quite, read below); decided to upgrade second laptop running Fedora 17 to 19 directly using network (note that F17->F19 upgrade is not supported, IIRC). Chromebooks are one of the hottest items at the moment. They take an incredibly simplistic approach to computing that also layers on the security of a Linux-based operating system to create an encapsulated environment that runs primarily within a web browser. You may think this is terribly limiting, but with today’s cloud-centric work environments, the likes of Chromebook and Jolicloud are actually very useful. Canonical’s Ubuntu Edge campaign on Indiegogo is breaking records left and right, and if it reaches its goal by August 21st, will break the all-time crowdfunding record by a huge margin. In just 12 hours, the campaign raised more than any other on Indiegogo and enough to place within the top 10 on Kickstarter. The phone Mark Shuttleworth has proposed contains some serious hardware and a gorgeous design. Clearly thousands of people want a piece of this vision, but like every project it has its detractors. Raspberry Pi has allowed people to do a lot of crazy and creative stuff; the little device kind of provides endless possibilities. Raspberry Pi enthusiasts have tried to push the device to its limits and have applied it to projects where it works almost like a full-fledged computer. Red Pitaya has launched a Kickstarter campaign to build an open source Linux-based measurement and control single-board computer. The $359 Red Pitaya, which can replace thousands of dollars worth of test equipment, will initially ship with smartphone apps for oscilloscope, spectrum analyzer, waveform generator, frequency response analyzer, and PID controller functions. Verizon has officially taken wraps of the new 2013 line up of Droid phones from Motorola. The Droid portfolio consists of the Droid Maxx, Droid Ultra and Droid Mini. All the three devices have similar thin Kevlar bodies which make them look strong yet stunning. Nkubito Bakuramutsa, the One Laptop Per Child (OLPC) Coordinator in Rwanda has said more than 207,026 laptops have already been distributed adding the project has so far covered 407 schools across the country. “Every year, the art and science of community management is becoming more predictable,” said Jono Bacon, the Community Leadership Summit lead organizer. It’s becoming a renaissance, and over the last few years the practice is starting to be written down and documented. It’s evolving. The University of Melbourne will be home to Australia’s first open source geospatial laboratory, which will support urban research and educational excellence through the use of geospatial data and tools. At the O’Reilly OSCON 2013 this week in Portland, Oregon, Fusion-io made the announcement that its Atomic Writes API contributed for standardization to the T10 SCSCI Storage Interfaces Technical Committee is now in use in mainstream MySQL databases MariaDB 5.5.31 and Percona Server 5.5.31. The Linux Foundation has announced the schedule and program for LinuxCon and CloudOpen North America events which take place in New Orleans, La., September 16-18, 2013. After General Motors introduced the first-of-its-kind Cadillac User Experience (CUE) technology, now standard in the XTS and SRX, Toyota debuted a Linux-based, in-vehicle infotainment system in the new 2014 Lexus IS. This marks only the beginning of a major shift unfolding within the automotive industry, moving from a closed ecosystem with proprietary technology to an open innovation and collaboration environment. Back in March, Mozilla announced Open Badges 1.0, which it billed as “an exciting new online standard to recognize and verify learning.” Immediately, the program picked up some enthusiastic backing from former U.S. President Bill Clinton, and then, the folks behind Blackboard’s free, hosted CourseSites platform for massive open online courses (MOOCs) backed Open Badges. here is something new and eye candy in the ownCloud Client, so let me show a bit of what we have worked on recently. Many users of the ownCloud Client were asking for sync progress information, in fact there was none at all until today which is a bit boring. The reason why we hadn’t it was simply that csync, which is the file synchronizer engine we use, did not have an API to hand over progress information of an actual up- or download to higher levels of the application. We implemented two callbacks in csync: One that informs about start, end and progress of an up- or download of an individual file. Another one processes the overall progress of the currently running sync run, indicating for example that eight files have to be processed, current is file number four, and x of the overall sum y bytes have been processed already. The Open Source Insider blogs likes open source champions, the Apache Cassandra project chair fits that profile. It may be trailing LibreOffice, but OpenOffice is still alive and kicking — now with better Microsoft Office Open XML support. As Apache announced the release of OpenOffice 4.0 with handy sidebar, The Document Foundation was busy sweeping up the last bug reports for the upcoming LibreOffice 4.1 release. 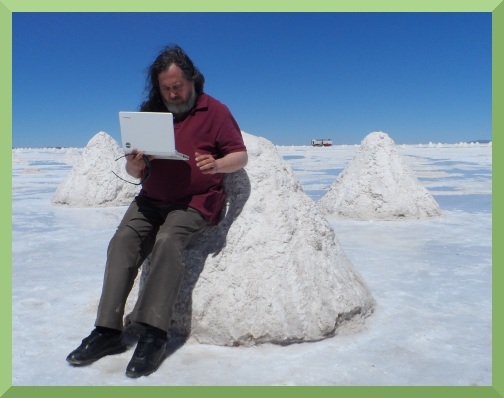 In a post to The Document Foundation blog, Italo Vignoli, founder and board member, acknowledged the contributions made by OpenOffice developers while taking stock of the achievements of the LibreOffice project the last couple of years. I still remember the second I pushed the “send” button of the very first TDF press release, on September 28, 2010. A simple gesture, and a giant leap forward for the free office suite ecosystem. On that day, though, the feeling was completely different. In a rapidly growing eCommerce industry, many agencies are finding it difficult to keep up with ever-changing standards and regulations, but a newly released white paper on Payment Card Industry Digital Security Standard (PCI-DSS) compliance will provide the Drupal community with insight into this essential process. Written and reviewed by experts in the Drupal community, the white paper provides a high-level overview and well-defined next steps to protect businesses accepting credit card payments. In-Q-Tel, the investment arm of the U.S. intelligence community, has signed a new technology development agreement with OpenGeo, which develops open source geospatial software. After introducing all those new concepts in 205 this release fixes a few issues in that new code, and adds pretty much all missing documentation for it. Also, lots of bits and pieces that waited to be merged got merged, so we have some new features as well. Popular public transit navigation app HopSpot dropped support for Windows Phone users this weekend, just a few days after it was acquired by Apple Inc. (NASDAQ:AAPL), reports Daniel Eran Dilger of Apple Insider. The app helps people find the most convenient routes using public transportation information for over 300 major cities. The modern anti-vaccination scare began in the late 1990s, when a British physician named Andrew Wakefield began warning people that the MMR vaccine (measles, mumps and rubella) causes autism in children. Medical experts refuted his claims, but parents panicked. Vaccination rates in Britain sank from 92 per cent to 73 per cent. Dr. Wakefield’s research has since been widely condemned as a giant fraud, and many of the current crop of measles victims were never vaccinated because of him. US interference in the Bolivian internal affairs and the plans to destabilize the Government of President Evo Morales by agencies of that country were revealed here by the weekly magazine La Epoca. A three-page report of the mentioned magazine denounces that three US entities and a European ultra-right party are channelling ideas and resources to support the Bolivian opposition. The CIA is seeking to reduce the number of its Afghanistan bases of operation from a dozen to as few as six over two years, going with the overall American withdrawal. But even after 2014 it will maintain a significant footprint. The manpower and equipment will be relocated from Afghanistan to other destinations, particularly Yemen and North Africa, places where Al-Qaeda-affiliated forces are presented, reports The Washington Post. CIA operatives would also be needed for operations not involving anti-insurgency, like the planned supplying of weapons to the Syrian armed opposition. A federal judge ruled last week that it’s too late for the family of deceased CIA bioweapons expert Dr. Frank Olson to sue the CIA for his death. Riflemen and the US government are taking aim at each other over surveillance drones. Given the expansion and intensification of government surveillance in recent years, this altercation should not come as a surprise. The Federal Aviation Administration warned on Friday that attempting to shoot down drones is punishable by fine and/or prosecution. The warning was a response to a ordinance under consideration in the small Colorado community of Deer Trail, which would distribute drone hunting permits to encourage defense of the town against unwarranted surveillance. The permits would be applicable to any drone incursion (belonging to the US government, a corporation, terrorists, or anyone else) into the sovereign airspace of the town, defined as reaching an altitude of 1,000 feet. Tiny, bright-red flashes twinkle in the night sky over Obeiraq, accompanied by a short, sharp detonation then a heavy thud. It shakes the houses and their windows. Smoke rises from the valley below. It makes the women “sick” and they stay indoors, but the menfolk strut around in the streets, flaunting their indifference to the unmanned aircraft. “We’re not afraid of drones,” they say. U.S. drone attacks on in North-East Pakistan, south of the Afghan border, are one of the sour points between Islamabad and Washington. According to the Pakistan’s Tribune Express, Prime Minister Nawaz Sharif recently withdrew a planned request for the transfer of US drone technology to Pakistan. The reason behind this turn was ‘legal implications’, of drone attacks aginst tribal areas in North-east Pakistan. Manufacturers in the US have produced so many drones that now the US government is in search of a place to use all these products, cofounder of globalexchange.org and author Medea Benjamin told RT. Drones are nuts. After all, they’re robotic war machines that kill on command. But the mad scientists at DARPA are working on something that’s even more nuts: a submarine that can carry an assortment of drones around the sea and launch them into the air. That’s nuts. Of all future subjects of our new infant overlord, none are more scapegoated than teenage single mums. Let’s not forget about them and their children today. Yesterday our frenzied response to Kate Middleton — dubbed “brilliant” for giving birth to a boy — has exposed just how dissatisfied we are with our personal life stories. It is not entirely unfathomable that many people would feel a sense of excitement that Kate Middleton has given birth to the third heir to the throne. After all, as social storytelling beings we make meaning of the world, create relationships and derive inspiration from the lives of others. In addition to being perfectly normal — it is healthy and a part of our collective history. Since the beginnings of humankind we’ve sataround fires in the middle of forests, in caves, atop mountains, and at the mouth of rivers sharing stories of great individuals — mostly male monarchs, warriors and magicians — on epic journeys. These stories created wander, helped to explain a mystifying world and engendered a sense of possibility. However, our current preoccupation with the life stories of others — especially rich and famous others like Kate Middleton — has become a social phenomenon. The automobile-driven economic growth of the 1950s and 1960s made Detroit a globally recognized symbol of successful capitalist renewal after the great depression and the war (1929-1945). High-wage auto industry jobs with real security and exemplary benefits were said to prove capitalism’s ability to generate and sustain a large “middle class”, one that could include African Americans, too. Auto-industry jobs became inspirations and models for what workers across America might seek and acquire – those middle-class components of a modern “American Dream”. When those capitalists’ decisions condemn Detroit to 40 years of disastrous decline, what kind of society relieves those capitalists of any responsibility to help rebuild that city? I’ve blogged before about how I find it outrageous that the credit scoring models are proprietary, considering the impact they have on so many lives. The argument given for keeping them secret is that otherwise people would game the models, but that really doesn’t make sense. After all, the models that the big banks have to deal with through regulation aren’t secret, and they game those models all the time. It’s one of the main functions of the banks, in fact, to figure out how to game the models. So either we don’t mind gaming or we don’t hold up our banks to the same standards as our citizens. A little less than a year ago, an operation called the Bitcoin Savings & Trust (an updated name from what had been the “First Pirate Savings & Trust”) shut down suddenly, right after there was growing evidence that it was a pyramid scheme — or, as some called it, the Bernie Madoff of Bitcoin. The “deal” promised an insane 7% interest weekly. If you know even the slightest thing about compound interest (or can use a calculator for a few rounds), you’d recognize that’s insane and obviously unsustainable in any real world situation. At least 117 bills introduced in 2013 fuel a “race to the bottom” in wages, benefits, and worker rights and resemble “model” bills from the American Legislative Exchange Council (ALEC), according to a new analysis by the Center for Media and Democracy (CMD), publishers of ALECexposed.org. ISPs have a lot of questions to answer. While they may feel that no legislation is better than letting parliament loose on the issue of content restriction, the turf on which they have been fighting with government is extremely narrow, but important. End warrantless dragnet supying — DEFUND THE NSA! Act today! This is a great chance to make an important change in the world. Do it. Twitter co-founder Biz Stone suggested that Facebook should offer a paid, ad-free experience for its users for $10 per month. That would be great. An NSA-free option would be even better. The heads of the Senate Intelligence Committee on Tuesday criticized a House amendment targeting funding for the National Security Agency’s surveillance programs. The Obama administration has filed what appears to be the first legal defense of the National Security Administration’s dragnet of American phone data since Edward Snowden first leaked details to the public. US government spending on cloud technology is set to spike in the next two years, though security concerns have scared agencies away from public clouds. There’s a funny catch-22 when it comes to privacy best practices. The very techniques that experts recommend to protect your privacy from government and commercial tracking could be at odds with the antiquated, vague Computer Fraud and Abuse Act (CFAA). A number of researchers (including me) recently joined an amicus brief (filed by Stanford’s Center for Internet and Society in the “Weev” case), arguing how security and privacy researchers are put at risk by this law. For the first time since Edward Snowden leaked information on the National Security Agency’s surveillance programs, the owner of an ISP has publicly discussed how the NSA got him to install equipment to directly spy on one of his customers. Pete Ashdown, the CEO of XMission, detailed his experience when he received a Foreign Intelligence Surveillance Act (FISA) warrant in 2010 which forced him to allow the federal government to monitor a customer of his. The NSA is a “supercomputing powerhouse” with machines so powerful their speed is measured in thousands of trillions of operations per second. The agency turns its giant machine brains to the task of sifting through unimaginably large troves of data its surveillance programs capture. But ask the NSA, as part of a freedom of information request, to do a seemingly simple search of its own employees’ email? The agency says it doesn’t have the technology. DDG’s trust and support for Microsoft is also a problem. The typical Microsoft partner passes on Microsoft lies, and is themselves technically incompetent, loud, aggressive and rude. That’s Microsoft culture. The House is expected to vote later this week on an amendment to a roughly $600 billion defense spending package that would repeal authorization for the National Security Agency’s dragnet collection of phone call metadata in the United States. The National Security Agency has invited certain members of Congress to a top secret, invitation only meeting to discuss a proposed amendment that could end the NSA’s ability to conduct dragnet surveillance on millions of Americans. Edward Snowden’s sacrifice was not in vain – because many thousands in the United States are rising to take up the battle he started. And they mean to win. However, since NSA supporters were unable to kill the Amash amendment outright, it looks like they’ve moved onto a sneaky alternative move: getting Rep. Richard Nugent to introduce a competing amendment that looks like it does something similar in defunding NSA surveillance, but in reality just reinforces the status quo. In other words, the Nugent amendment is a nefarious red herring, designed to attract votes from Reps away from Amash’s amendment. It’s a pretty scammy trick. The White House said Tuesday night that it opposes a House amendment that challenges the National Security Agency’s authority to monitor and seize massive amounts of communications data. The White House is urging lawmakers in the House to reject legislation that would undercut the National Security Agency’s ability to collect phone records of millions of Americans. The House is likely to vote Wednesday on an amendment to a defense spending bill that would end the NSA’s authority under the Patriot Act, preventing the agency from collecting records unless an individual is under investigation. Internet activists are once again rallying netizens to call their representatives. This time, they want Internet users to convince Congress to strip funding from the National Security Agency surveillance program that collects American’s phone records. The House will vote on Wednesday on an amendment (.PDF) to the defense spending bill that seeks to defund the NSA’s phone metadata collection program, revealed in June by Edward Snowden, and stop the agency from collecting Americans’ phone records unless they’re targets of an investigation. Amash’s amendment to the Department of Defense appropriations legislation essentially strips funding away from the National Security Agency if the agency collects data and records from individuals not under investigation. It also obligates the Foreign Intelligence Surveillance Court to issue a statement confirming data collection by the NSA as for a target under investigation. This week, the House will vote on Rep. Justin Amash’s (R-Mich.) proposed amendment to the Department of Defense appropriations bill, which the NSA is aggressively lobbying against. If the amendment passes, it will be the first legislative action the House has taken in response to the leak regarding NSA surveillance programs. Many Americans fervently oppose the actions of the NSA, and believe that the overreaching capabilities granted to the agency are unconstitutional. I disagree. The NSA’s programs were enacted to protect Americans, and the agency should not have to struggle to maintain the funding required to do its job.